It was 13-14 months ago when we posted Swarovski Hello Kitty News that a Hello Kitty product line was launching from the crystal brand’s web site. In its first launch, there were about 3 crystal figurines, a 2011 Swarovski Hello Kitty Limited Edition, and lots of jewelry and accessories. Here we are, one year later, and the crystal giant has added more Swarovski crystal figurines, limited editions, and accessories to the Swarovski Hello Kitty product line. The 2012 Swarovski Hello Kitty releases mostly have a ‘rock inspired design. As you look at each of the new introductions, you will see that Hello Kitty is connecting with her wilder side and she is less about cute and innocent. Swarovski Hello Kitty Limited Edition 2012 – This Hello Kitty figurine is limited to just 88 units world-wide, with a retail price tag of $8000. It very much resembles the Hello Kitty Gold Bow, but this one is using the glittering crystal Pointiage® technique. Swarovski Hello Kitty Hearts, Limited Edition 2012 – This Hello Kitty figurine is clear and she is wearing a pretty pink dress and lovely rose-colored Pointiage® bow consisting of 600 crystals. 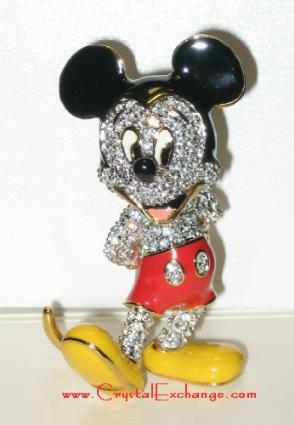 The Swarovski shoppe indicates that she is over 8” tall and has a retail price tag of $600. It appears that this figurine should be available for most of 2012. Swarovski Hello Kitty Gold Bow – This Hello Kitty figurine is crystal satin (gray) instead of clear and she sports a black jacket and yellow bow (instead of red or pink). While the Swarovski shoppe indicates that she is over 8” tall, I have a hard time thinking this is true with a retail price of $140. Swarovski Hello Kitty Santa – This Hello Kitty figurine is clear naturally wearing a Santa-red jacket, a Santa hat, and a Santa-red bow. The candy cane she is holding appears to be Santa red (siam) and crystal moonlight (one of the colors that the 2011 AE polar bear cubs wars available in). While the Swarovski shoppe indicates that she is over 8” tall, I have a hard time thinking this is true with a retail price of $140. While I did not find an official launch date for this figurine, I’m assuming that it is October since that is when most of the holiday figurines will be available from Swarovski. Swarovski Hello Kitty Charms – The 2 new charms are the Hello Kitty Rock Charm and Hello Kitty Guitar Charm. The Hello Kitty Candy Charm is on sale at 50% off if you are looking for a deal! Swarovski Hello Kitty Fashion Accessories – Of the 12 items in this category, there are 3 new items and 5 items that are 50% off. Swarovski Hello Kitty Jewelry – There are a few new items and plenty of sale items. In this category, there are plenty of Hello Kitty Pendants, Hello Kitty Bracelets, Hello Kitty Necklaces, Hello Kitty Pierced Earrings, and Hello Kitty Rings. So, if you are a Hello Kitty fanatic, check out the new rock-inspired figurines and jewelry at the Swarovski shoppe now! Here is a bit of information horse terminology. There are 3 types of horses the Stallion, the Mare, and the Foal. A Filly and a Colt are both Foals. 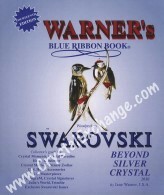 Our favorite crystal brand has produced a number of Swarovski Horse figurines. Kristall Buzz contains an article about Swarovski Stallion figurines, which includes the Swarovski Amurath, Swarovski Arabian Stallion, Swarovski White Stallion, Swarovski Stallion, and Swarovski Satin Stallion. The crystal company also produced a Mare figurine, which is now retired. The Swarovski Mare was designed by Stefanie Nederegger and available from 2006 through 2011. The crystal mare was about 5.5 inches long and originally retailed for $380. The crystal giant has also produced 2 different foals figurines: Swarovski Foals and Swarovski Foals Playing. The clear Swarovski Foals were available 2003 through 2011. The colorful Swarovski Foals launched in 2011, in effect replacing the clear variety. Both Foals products were designed by Martin Zendron. Another retired figurine is Swarovski The Horse. Mario Dilitz is the credited for this figurine that was available from 2004 through 2006. Part of the (no longer used theme group) Symbols, this crystal horse was about 5.5 inches tall and originally retailed for $385. Trying to mention ALL the Swarovski crystal horse figurines, the crystal brand also produced some solid-colored horses in the Circus group. 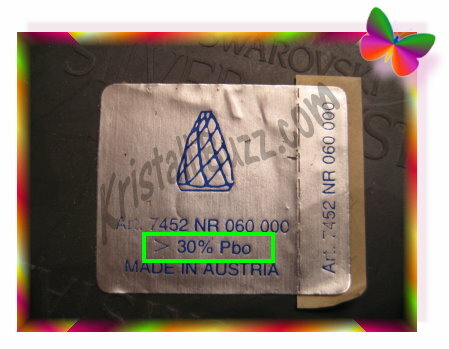 Below the list includes Swarovski product name, product identification numbers, years available, and original retail price (since many are still available). Swarovski Jade, Limited Edition (Dancing Horse) – 9100 000 294 / 1 073 338. 2011 only. MSR $80. Swarovski Jasmine (Dancing Horse) – 9100 000 302 / 1 079 474. 2011 – 2012. MSR $250. Swarovski Rosalie (Dancing Horse) – 9100 000 293 / 1 073 336. 2011 – 2012. MSR $80. 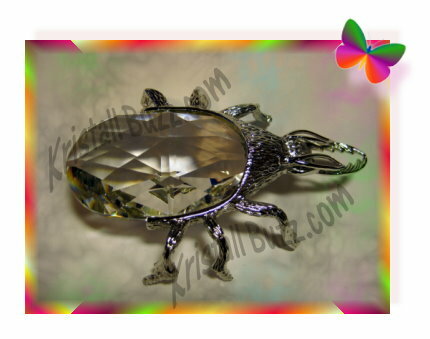 Swarovski Zodiac Horse – 7693 000 005 / 289 908. 2002 – 2005, MSR $65. 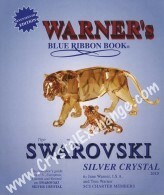 Swarovski Chinese Zodiac Horse – 9100 000 133 / 995 744 2009 – current, MSR $300. Swarovski Chinese Zodiac Horse, Large – 9100 000 267 / 1 055 509. 2009 – current, MSR $910. The grand-daddies of Swarovski Horse figurines are the Swarovski Amurath and the Swarovski NLE Wild Horses. Both the Swarovski Crystal Myriad and Wild Horses are Swarovski Numbered Limited Editions. While the Amurath was limited to only 300 units world-wide, it did have a retail price tag of $8000 compared to an SCS LE, which was limited to 10,000 units-worldwide and a retail price tag of $4000. Many of these Swarovski Horse figurines can be found on either the crystal brand’s official web site or at www.CrystalExchange.com, a web site that focuses mostly on retired and limited edition Swarovski crystal.